Intricately designed by our artisans, The Sacred Lotus Bracelet is inspired by the view of lotus on the water. 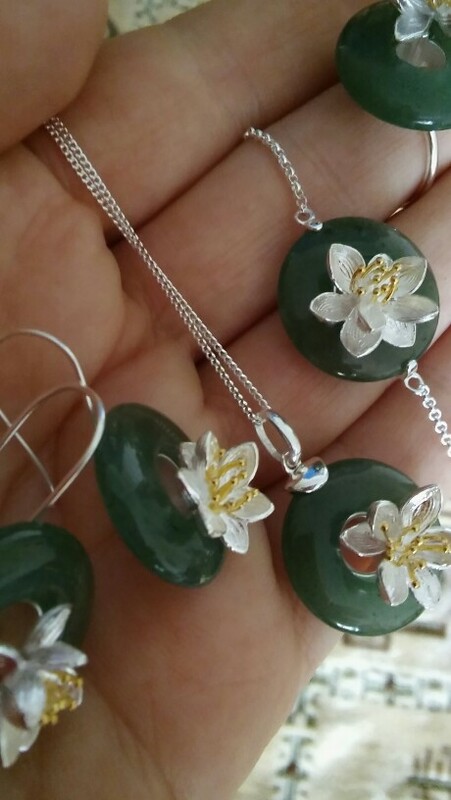 Made of 925 sterling silver, the lotus is set perfectly on a green aventurine stone, depicting the calm water. It also comes in a pink crystal as another option for those who is more into feminine color. We hope by wearing this bracelet, you will take a moment to reflect upon your life and your decisions. May whatever your decisions will be, we hope that it will be beneficial for you, us and the Earth. We are proud to introduce you to our The Sacred Lotus Bracelet as part of our newest collection. Each of our jewelry pieces is handmade with great details and care. Our mission is to use jewelry pieces as part of our belief in stopping deforestations all over the world, protecting the oceans, and fighting against global warming. Excellent service - fast shipping, safe package. Wonderful set. I am very glad and satisfied. 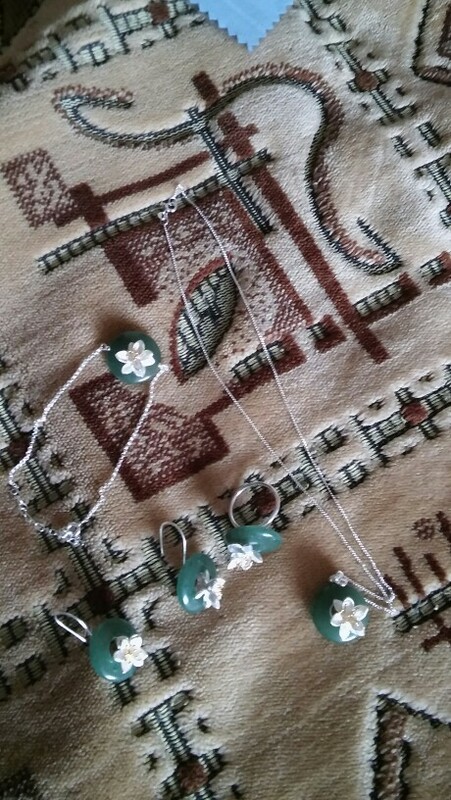 Thank you for gifts. Thank you, seller! Nice bracelet, the only cons on this bracelet is the chain’s far too thin to carry the weight. Of. The actural flower so it kept flipping to the other side. But overall it’s a nice one.